Tue., Feb. 21, 2017, 11:21 a.m.
Just two days after President Donald Trump provoked widespread consternation by seeming to imply, incorrectly, that immigrants had perpetrated a recent spate of violence in Sweden, riots broke out in a predominantly immigrant neighborhood in the northern suburbs of Sweden’s capital, Stockholm. 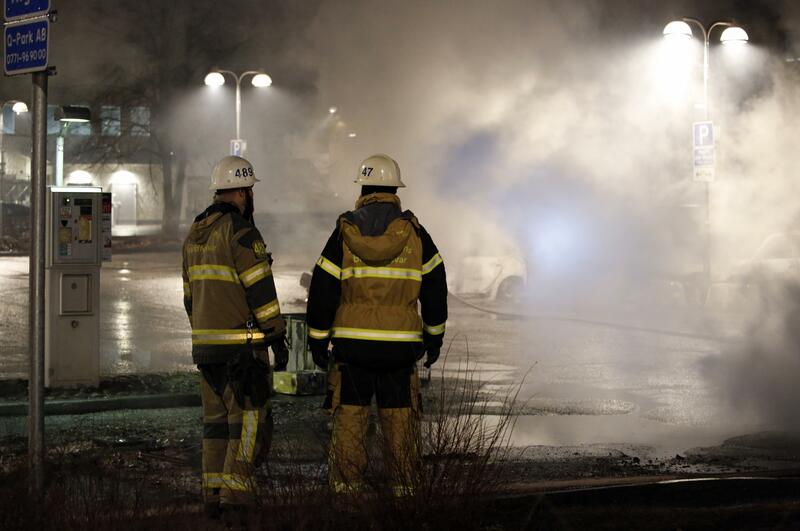 The neighborhood, Rinkeby, has seen riots in 2010 and 2013, too. And in most ways, what happened late Monday night was reminiscent of those earlier bouts of anger. Swedish police apparently made an arrest around 8 p.m. near the Rinkeby metro station. For reasons not yet disclosed by the police, word of the arrest prompted a crowd of youths to gather. Over four hours, the crowd burned about half a dozen cars, vandalized several shopfronts, and threw rocks at police. Police spokesman Lars Bystrom confirmed to Sweden’s Dagens Nyheter newspaper that an officer had fired shots with intention to hit a rioter, but did not strike his target. A photographer for the newspaper was attacked by more than a dozen men and his camera was stolen, but no one was ultimately hurt or even arrested. In 2015, when the influx of refugees and migrants to Europe from Africa, the Middle East and Asia was highest, Sweden took in the greatest number per capita. By and large, integration has been a success story there, save for incidents like Monday night’s, which have taken place in highly segregated neighborhoods. Trump clarified on Twitter that he drew his claim of immigrant violence in Sweden – made at a campaign speech in Melbourne, Florida — from a Fox News segment in which two Swedish police officers were interviewed. The segment was part of “Tucker Carlson Tonight” and featured filmmaker Ami Horowitz, who was introduced as someone who had documented an “incredible surge of refugee violence” in Sweden. Horowitz defended his work to the Guardian, saying that he was “pretty sure” he told the officers what the segment was going to be about, and implying that the officer’s statement came under pressure from his superiors. Nevertheless, the integration of immigrants into Swedish society is a problem that the government has been struggling to address. “Sweden definitely, like other countries, (faces) challenges when it comes to integration of immigrants into Swedish society, with lower levels of employment, tendencies of exclusion and also crime-related problems,” said Henrik Selin, director of intercultural dialogue at the Swedish Institute. Published: Feb. 21, 2017, 11:21 a.m.